Can answer calls, see the phone number, and listen to your music, plus all other clock functions like alarms, missed alarms, etc. Has bluetooth dialer, reminder call and bluetooth call. Can receive bluetooth SMS / IM message notified information. 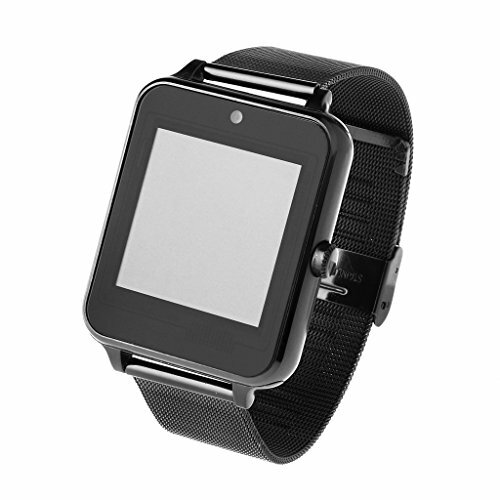 Smart watch screen is LCD touch screen,and buil-in battery. Has anti-lost technology to turn on the phone. And also has pedometer, sleep monitor, sedentary reminder, gravity sensor,calendar (Synchronizable) function,and so on. Language: English, Russian, Spanish, Polish, Portuguese, Turkish, Italian, French, German. If you have any questions about this product by Redriver, contact us by completing and submitting the form below. If you are looking for a specif part number, please include it with your message.